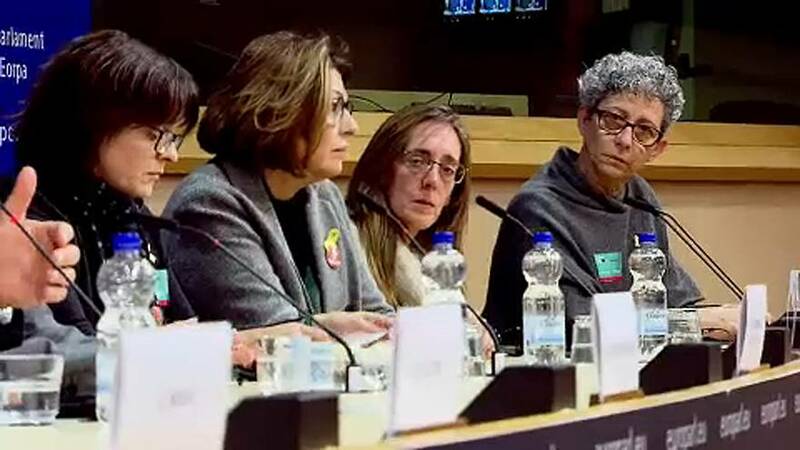 Relatives of Catalan prisoners and exiled politicians have come to Brussels with a call to preserve human rights, as Carles Puigdemont waits to hear whether he'll be extradited from Germany to Spain to face rebellion charges. Among those in the de-facto EU capital was the former Catalan president's sister, who commented on families affected. "There are small children, there are very old parents, and the prisons are 600 kilometres away from home," said Montserrat Puigdemont. "And those who are in exile they are more or less 1300 kilometres. So from day to day, it's getting more and more complicated." A decision on Puigdemont's extradition isn't expected before Easter. European Arrest Warrants have a high rate of approval in Germany, with 80 percent granted in 2015 - with an average of 42 days to make a decision. But, is there are a risk that politics could play a part? "Indeed it is a political question and you should not make use of an European Arrest Warrant and force a, sort of, your fellow member states to cooperate with regards to this political discussion that you have ongoing in a state as a purely interior matter," said legal analyst Christoph Safferling. Outside the courts, Puigdemont is unlikely to have much sympathy from German politicians, with many of them largely backing Madrid's crackdown on Catalan separatism.